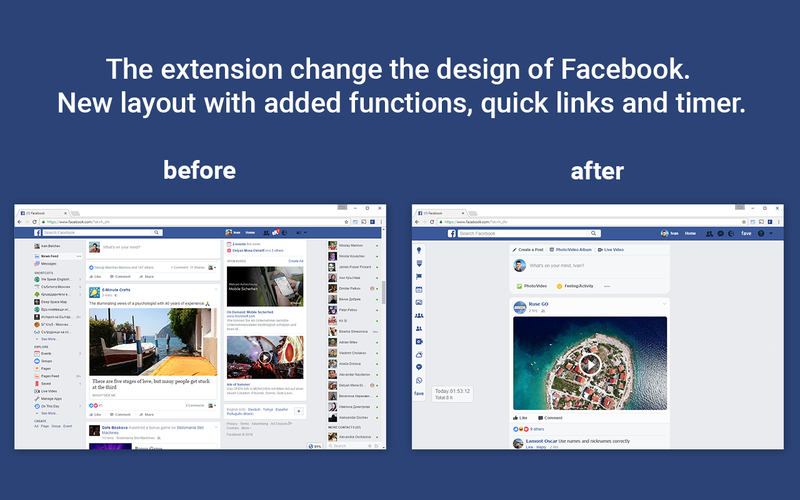 New Tools and Design is an extension for Chrome that adds new functions and makes changes to the layout of Facebook. 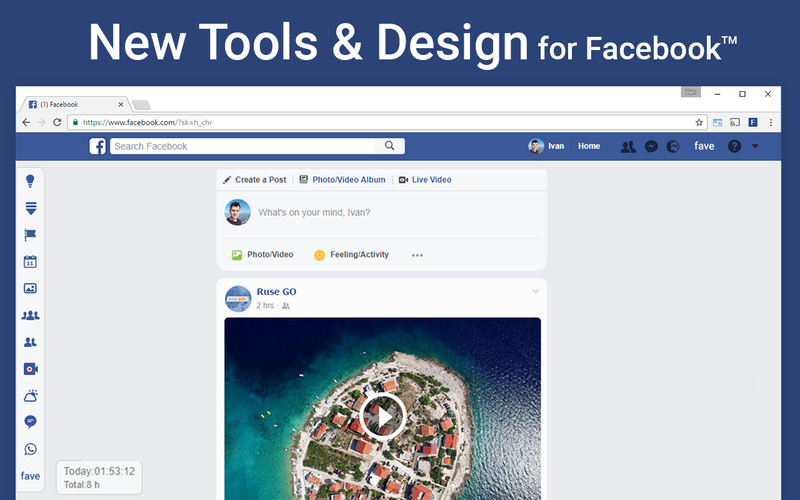 It adds new functions like Show Newsfeed Only, Auto Scroll, Timer, Scroll To Top, Quick Links and makes changes to the layout of Facebook. Updates: Bug fixed based on your comments. 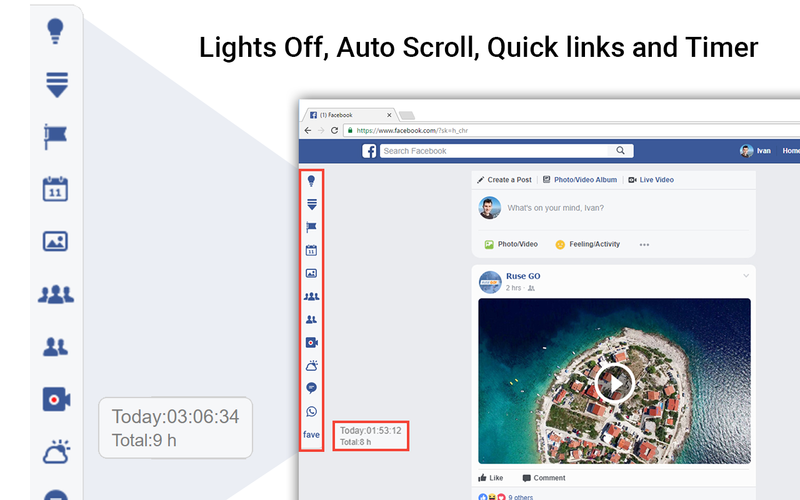 now you can see how long you are on Facebook. 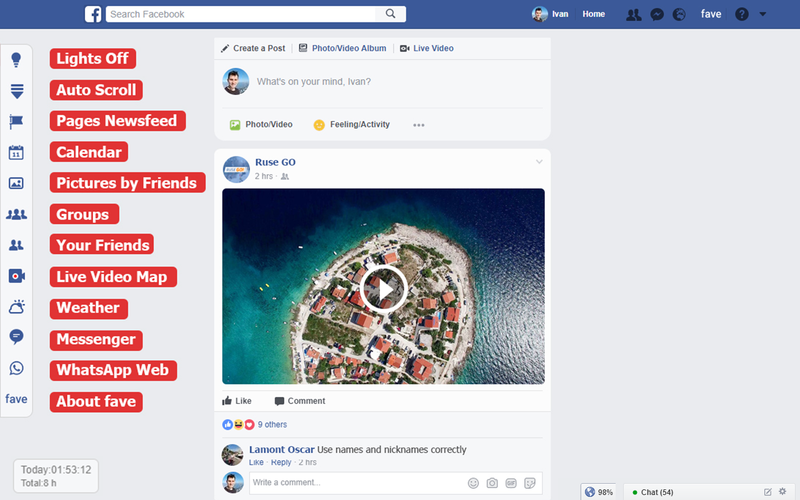 It displays today and all time spend on Facebook. The Chrome extension does not collect any information but requires access to your tabs and facebook.com. All product names, logos, and brands are property of their respective owners. 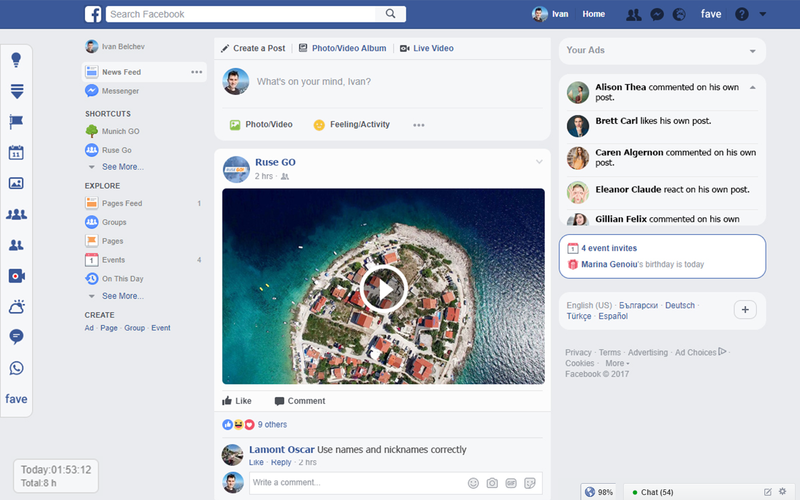 Facebook TM is a trademark of Facebook Inc. Chrome TM is trademarks of Google Inc.
Facebook doesn't endorse or sponsor this website.